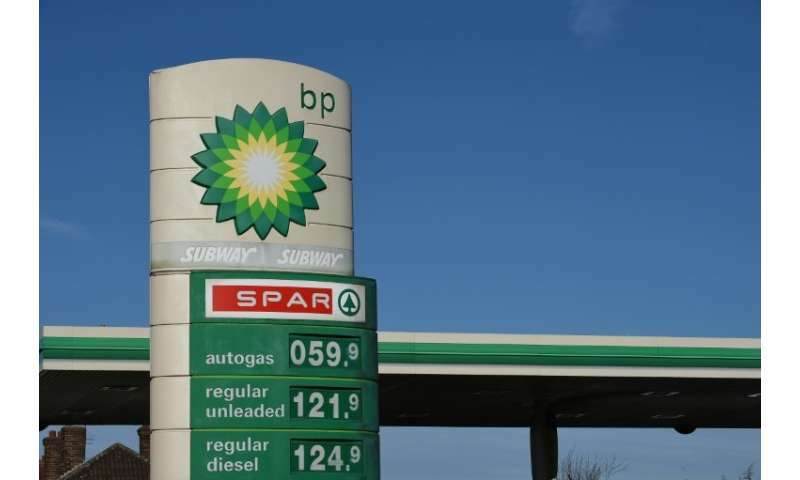 British energy major BP said Tuesday that first-quarter net profits soared 70 percent on the back of rising crude oil prices, increasing output and improving reliability across its operations. Earnings after taxation, or bottom-line net profit, jumped to $2.5 billion (2.1 billion euros) in the three months to the end of March from a year earlier, BP said in a results statement. Total production advanced six percent to 3.7 million barrels of oil equivalent per day. BP also paid another $1.6 billion for costs arising from the 2010 Gulf of Mexico oil spill catastrophe, including $1.2 billion for the final payment relating to the 2012 Department of Justice settlement. "We have delivered another strong set of results," said chief executive Bob Dudley. "Our safe and reliable operations and strong financial delivery have continued into 2018." Underlying replacement cost profit—which excludes fluctuations in the value of crude oil inventories—surged 71 percent to $2.6 billion. Chief financial officer Brian Gilvary added that the performance was energised only partly by the oil price recovery. "It's come through in terms of the reliability that we are seeing in both upstream and downstream and a little bit of benefit from the oil price," Gilvary said in a video message posted on the company's website. "But overall, a strong set of results in terms of earnings." Downstream comprises refining, marketing and distribution, while upstream covers exploration and production. "The results definitely benefit from a higher oil price that we've seen come through," Gilvary noted. "But actually, it's more about the seven projects that we brought on stream last year, the six more projects that we will be bringing on stream in the upstream this year, the ramp up of those projects and the volumes that come with that, and continued underlying performance improvements in the downstream. "So it's not just about price, it's actually about the performance of the kit." Oil prices have nevertheless shot above $70 a barrel from below $30 in early 2016. The turnaround has been helped by an agreement in late 2016 between the OPEC oil producers' cartel and Russia to reduce a global supply glut by trimming production. The recovery has been fuelled also by geopolitical tensions, US President Donald Trump's threat to reimpose sanctions on Iran and production problems in Venezuela, Nigeria and Libya.